Kematch arrives at RRC with 30 years’ experience working within Indigenous communities in a variety of capacities, including the development of training programs for staffs, community clients, board members and other partners, in areas such as policy development, needs assessment, implementation plans, and evaluation and delivery of group training. As part of her work in program development, Kematch developed and launched Art City. She also did policy work at the Assembly of Manitoba Chiefs for five years, and later served as the Mental Health Commission of Canada’s Project Winnipeg Site Coordinator and as the United Way’s Capacity Building Director. 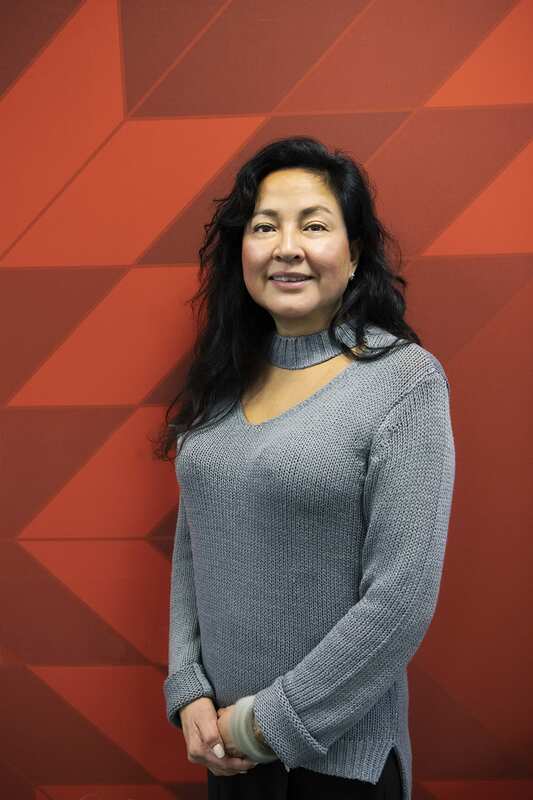 In addition, Kematch has experience developing recruitment and retention plans for government, private sector and non-profit organizations, among them Valard Construction and the Red River Expansion Project, both examples where Indigenous communities were engaged and processes developed for hiring and training Indigenous community members. “I know it’s a big project, but I’m looking forward to the challenge,” says Kematch of her new role at RRC. “The 94 Calls to Action cover all aspects of everyone’s lives: health and wellness, government policy, and educational institutes — so it’s all-encompassing. It also recognizes the history of Indigenous people and their challenges, as well as celebrating their culture.